I understand this, but the goal in what we are doing is to allow users to not need the CDs anyways, as we have done for BFME1. And as far as legality goes, I guarantee you that nobody cares about someone "illegally" acquiring a BFME game as they are so old now that they're considered abandonware. 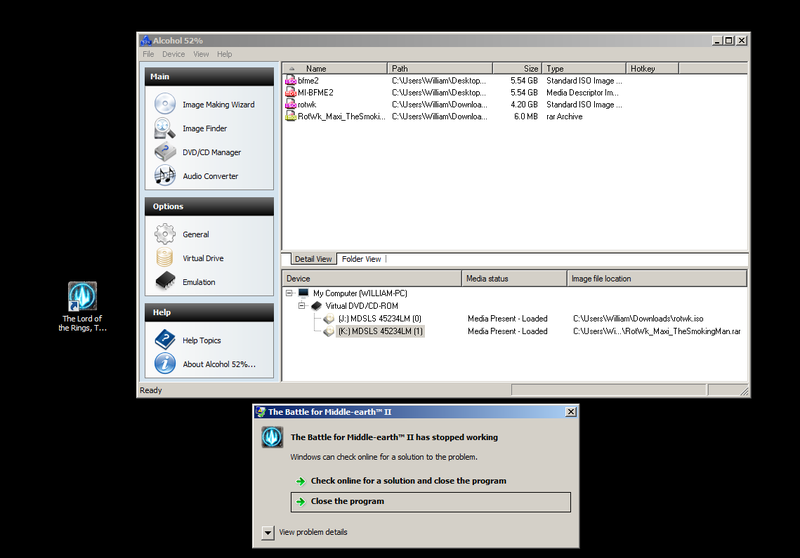 Updated with all-in-one patch installer for BFME1. does this work on windows 10?? cant get bfme II to work... loading screen pops up but just disappears or windows says "its stopped working" and searches for a solution. same with rotwk. Mini images dont work with win 10? bfme2 work for me rotwk not. when i look in appdata for option.ini there is only one for bfme2. in rotwk is nothing. 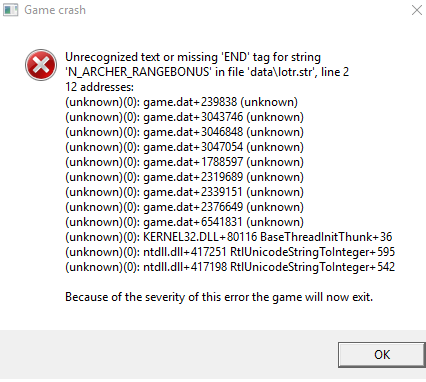 when i create a option.ini there or use the startup fixxer it crash with game.data error with non options.ini nothing happens. patch 2.02 + ger lang. same with or without edain mod. Solved: Uninstalled Ger patch and 2.02, patched SUM2 back to 1.06 and used the start fixxer again. Edited by Pearcen, 21 May 2016 - 02:36 PM. Hello guys. I just downloaded and setup lotr bftme 1. First i got this error http://hizliresim.com/2ZgyjN . Its okey now i fixed this. I have another problem now. The game does not run. I just see the loading screen and nothing. Do you guys know how to fix this ? Did you fix your options.ini? Do you run the game via our launcher? Are you running it as administrator? Does the error message mention Options.ini? Do be more specific. Edited by Before, 01 June 2016 - 08:13 PM. Edited by Before, 01 June 2016 - 08:15 PM. Edited by Before, 01 June 2016 - 08:49 PM. Yes... but have you done it for RotWK? Are the options.ini for RotWK the same as BFME? All it would take is an empty file. Yeaa I figured after I tried to click new > file but the option wasn't there.